Cynthia and Nicky interviewing Don Tydeman at The Salt Cellar, Portsmouth, NH. Photo by Kathi Bahr. Finally, we come full circle and explore salt's current culinary renaissance. From artisanal Icelandic lava salt to handmade hyper-local sea salt, we visit the enthusiasts who are restoring salt's lost status and value. Worried that you need to shake your salt habit? Curious about the merits of different gourmet salts? Mystified by the popularity of salt cod? Listen in this episode for answers to all these questions and more. This episode is a special collaboration with our friends at DecodeDC, the podcast that helps make sense of people, policies, and politics in the nation's capital. To explain what the U.S. Food and Drug Administration is doing with regard to salt and why, host Jimmy Williams spoke to Robert Brackett, vice president and director of the Institute of Food Safety and Health (IFSH) at Illinois Institute of Technology, and former director of the FDA Center for Food Safety and Applied Nutrition. Listen to their conversation here. Mark Kurlansky is the author of twenty-nine books, including Salt: A World History. His most recent book, Paper: Paging Through History, explores the ways in which this seemingly simple technology has shaped the world. We spoke with a number of scientists to help unravel the competing arguments for and against salt reduction. This explainer by Julia Belluz for Vox provides a good overview of the logic behind salt reduction targets, and the evidence thus far. This 2013 Institute of Medicine report on the subject is a more in-depth read that concludes that there is not sufficient evidence to set an upper limit for sodium consumption. This Politico analysis by Helena Bottemiller looks at the conflicts between the food industry, policy makers, and scientists on the subject of salt. Michael (Micky) Alderman, professor of epidemiology and medicine at Albert Einstein College of Medicine, is a specialist in hypertension who has authored many papers on the subject, including a 2014 meta-analysis that found that consuming less than 2,600 or more than 4,900 milligrams of sodium per day was associated with increased mortality compared to the ninety percent of the population who consume between 2,600 and 4,900 mg/day. Andrew Mente, an epidemiologist at McMaster University, co-authored a recent study in The Lancet in July 2016, in which he and his colleagues concluded that there was no benefit to reducing sodium for people with normal blood pressure. Sandra Jackson, an epidemiologist with the U.S. Centers for Disease Control, published a study showing how much sodium Americans consume in January 2016. More information on the CDC's sodium reduction initiatives can be found online here. Nancy Cook, an epidemiologist and professor of medicine at Harvard, leads the Trials of Hypertension Prevention (TOHP) Follow-up Study, focusing on the long-term effects of weight loss and sodium reduction interventions on subsequent cardiovascular disease. Her findings show that for a population with hypertension, there are no risks from low sodium consumption and, in a paper currently in press, that lowering sodium consumption is associated with a reduction in mortality. Gary Beauchamp, emeritus director and president of the Monell Chemical Senses Center, is an expert on salt taste perception. 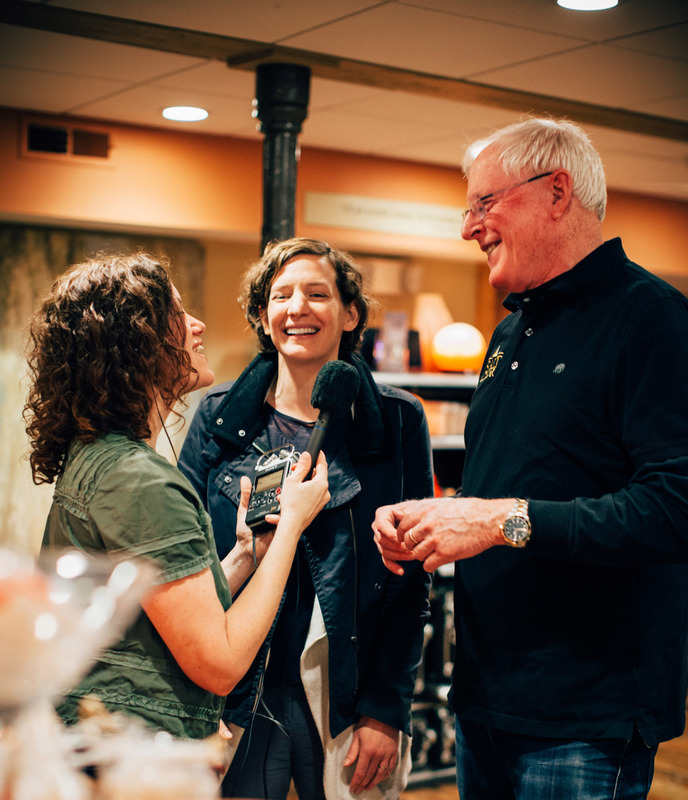 Husband and wife team Don and Judit Tydeman opened The Salt Cellar, a store devoted entirely to salt, in Portsmouth, New Hampshire, in 2011. They now have a second location in Portland, Maine. Chef Marc Sheehan spoke to us about the process and concept behind making his own salt, which he uses to finish dishes at his restaurant, Loyal Nine, in Cambridge, Mass. We have a special reward—a private newsletter crammed with extra snippets, recipes, and stories from each episode—for those of you who support Gastropod with a gift of $5 or more per episode on Patreon or $9 per month through our donation page. Don’t miss out!